Kimberly Givan of Zion Bookkeeping Services, LLC is a certified QuickBooks Online Proadvisor that specializes in bookkeeping services. 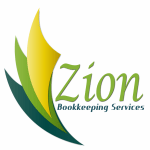 Work For Zion Bookkeeping Services, LLC? Claim This Page.